Buy your hardwood flooring directly and save thousands on some of the most respected brands in the world, also get a better deal on your professional hardwood installation by cutting out the retailer! These are some the brands we can supply at the cheapest prices you will be able to find in Nanaimo, Vancouver Island and the BC West Coast. If you want the best of the best, here it is! Mirage has been the top of it’s class since the hardwood flooring boom in 1989. With over 200 styles of elegant hardwood floors you will be able find anything you desire for installation in your own home. Our installers have been certified by this manufacture and leave a mirage hardwood floor customers house satisfied every time. The only hard thing about using this product is choosing from the many different choices you will have. This is a product we will recommend any time someone wants an installation done because we can guarantee you will be over joyed by the outcome, the only disappointment you will have is not continuing the hardwood flooring into all your bedrooms! Mirage hardwood flooring has been in the business for over 20 years and has the highest quality of aluminum oxide finish on the market today which helps this product keep their name as the best hardwood flooring in the world. Mirage Hardwood is made in Canada! This is an excellent choice of hardwood flooring if you are looking for many different choices and don’t want to spend a fortune. This cost effective flooring gives you all the styles and colors of flooring under the sun today, manufactured with pride this brand and company rose to the top in popularity and will wow you everytime you walk on it. Installation of this hardwood flooring is a sure way to lift spirits in your home and knowing that our installers have been installing this product since the birth of Kentwood, you will be sure that you are in excellent, experienced hands. Lauzon is a company right across the street from Boa Franc the creator of mirage. This company is known for high quality hardwood flooring and a color scheme that out matches its competition. Be sure to check out this product for installation in your own home, especially if you can’t find that right color you have looking for! Lauzon has a wide variety of engineered and solid hardwood flooring and can be installed on any type of surfaces such as radiant heat. In this case size does matter, choose from a wide variety of widths of flooring with this brand to be sure you have the right look you have always wanted installed in your home. Dogs and cat lovers, this is the floor you will want in your home! 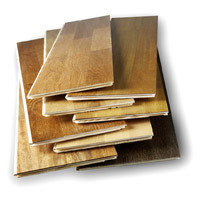 We carry all the different types of laminates under the sun. This floor is literally bullet proof when it comes to the big nails on the bottom of your dogs and cats feet. Be worry free with a laminate floor and you don’t have to spend a fortune to get that hardwood flooring look that you’ve always wanted. To all the renovations and basement suits, installing a laminate floor is the best way to prevent to always have a professional cleaner in to wash away all the stains left by your tenants as laminates are stain proof!! If you have kids over at your house a lot you can be sure to tell them that they can play hard on a laminate surface once you’ve installed it into your home! Don’t be fooled when the retailer tells you to buy an expensive laminate, this is a sales pitch! There are few things to watch out for on a laminate floor and we are the professionals that can make sure you get a high quality laminate at a cheaper price. There are too many brands tell list on this Web site of the products we carry, the best way to fins a floor is to talk to us instead of being wheeled and dealed by a sales associate. Contact us and let us know what you need or want to find and we can find it for you. We are professionals at this and not salesmen all we want is to install a floor the you want and are happy with! We beat any local confirmed hardwood installation quote. Call Dan now at 250-797-9403 for a FREE estimate! FREE quotation on your hardwood flooring installation.